Farmer is just one of the many titles Minnesota farmer David Legvold has held throughout his lifetime. He’s also been a teacher, executive director of a non-profit watershed organization, a controller at his local John Deere dealer, and most recently the driver of the instrument semi for the orchestra and band at St. Olaf College. This adventurous spirit that pushes him to think outside the box when it comes to farming. It’s the reason he purchased an 8-row SoilWarrior strip-till system in 2008 after he realized that his original thought of running a diverse organic farm wasn’t working. His disaggregated soils were washing and blowing away due to too much tillage. 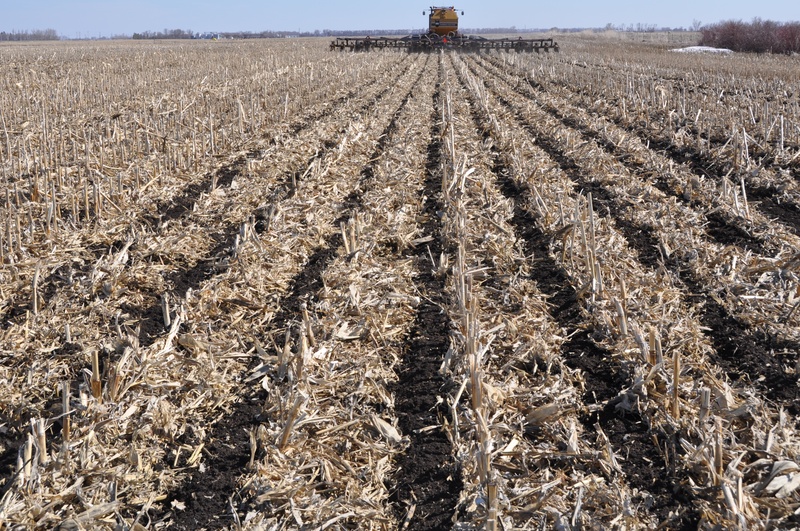 And the most environmentally-friendly way for him to manage soil and fertilizer for optimal yield was by tilling a 12-inch wide zone, leaving the rest of his field covered with crop residue to protect it from erosion.